MG Creations firmly believes that the application of stone in kitchen areas is the ultimate must-have in new homes and renovations. 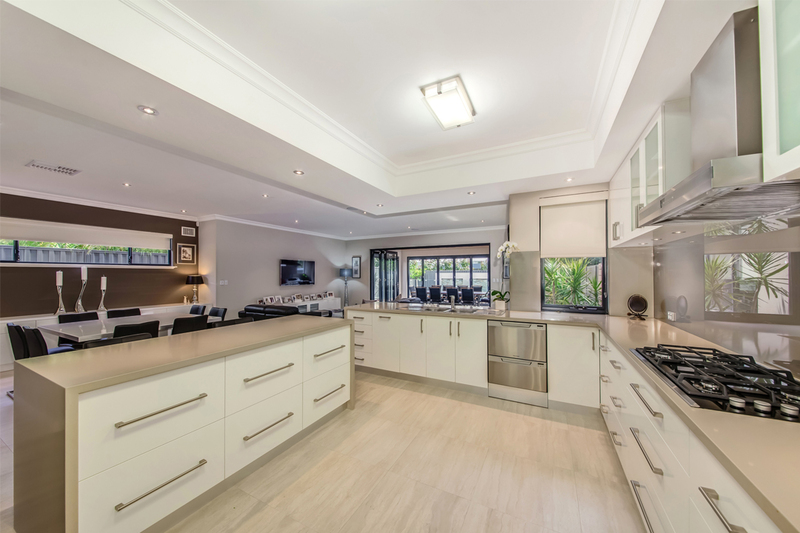 When it comes to the best stones for the job, granite, marble and engineered stone make the perfect materials for kitchen benchtops. All three materials are recognised for their extreme durability and heat-resistance while also adding a sleek appearance to your home. While marble is a great option for decorative purposes such as creating a feature within your kitchen or bathroom, engineered stone is a popular choice if you would prefer a uniform finish. 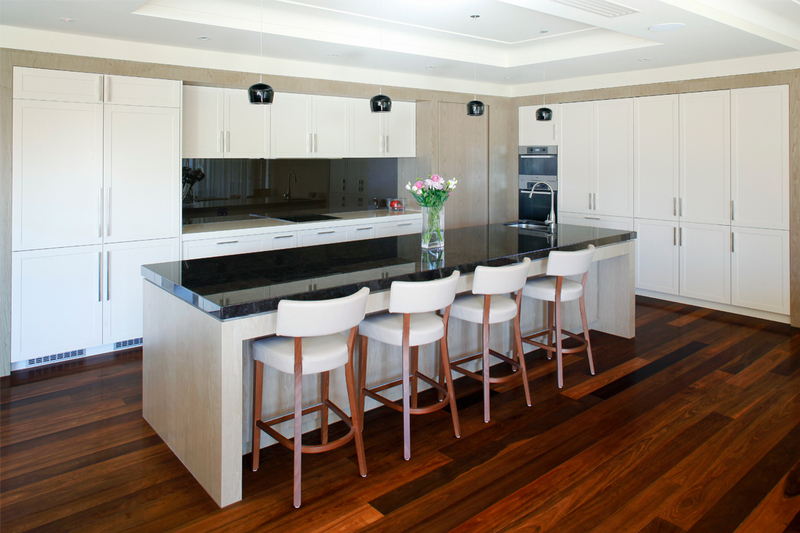 The featured kitchen utilised dark stone benchtops to great effect. By pairing the materials with contrasting white cabinetry, the kitchen finds balance between the light and dark features of the room. MG Creations’ addition of the benchtop ensures this kitchen is not only stylish, but also highly functional. 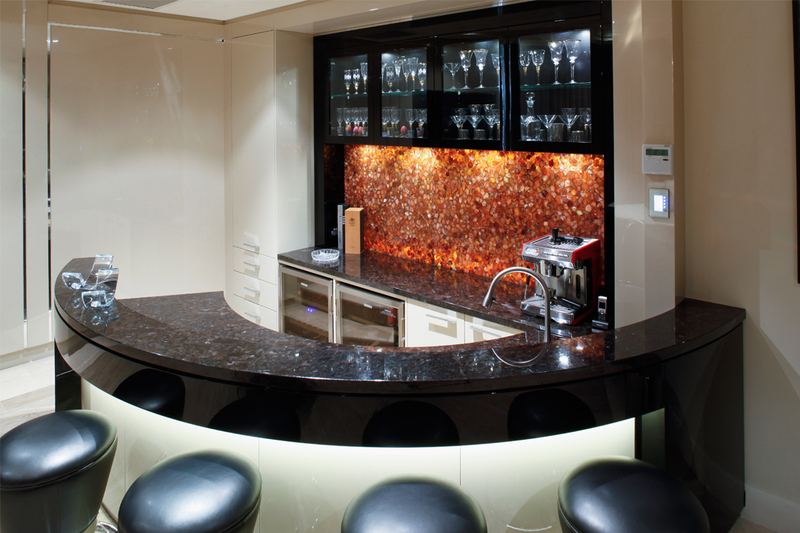 As well as benchtops, MG Creations’ showroom also exhibits a wide selection of stone splashbacks. The company has noted a rise in the popularity of stone splashbacks as an alternative to glass and offers a stylish range to meet the demand. Available in a vast selection of colours, MG Creations is sure this easy-to-maintain product will enhance any home’s appearance while also being highly practical. While granite and marble are highly durable, care must still be taken in maintaining these materials in order to prevent damage. 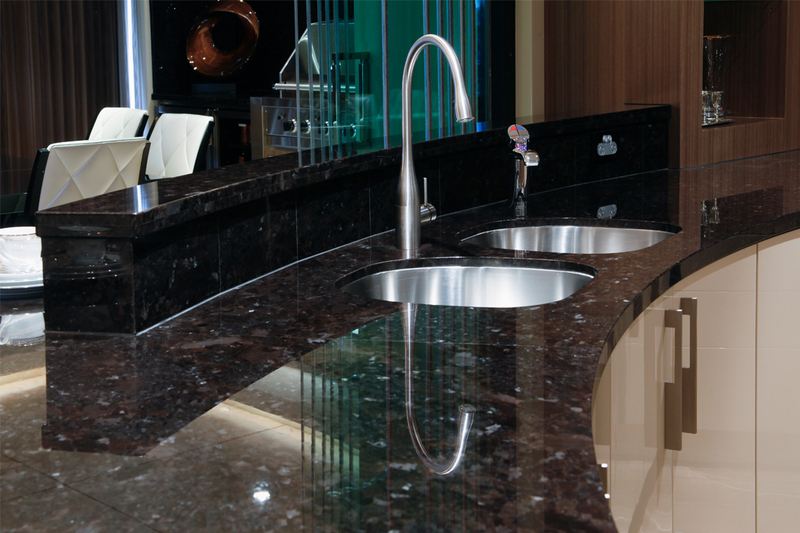 Sealers are designed to increase stain resistance and can be applied to a clean, dry granite surface every six to 12 months. Engineered stone, a manufactured product composed of approximately 94 per cent quartz and six per cent resin, is very easily maintained because of its high resistance to stains and abrasions. MG Creations has the expertise and the passion required to bring your designs to life. A family-owned and -operated business, the company has more than 20 years of industry experience and a strong reputation for always offering professional and reliable service to all its clients. MG Creations is also concerned with its impact on the environment and has invested in an environmentally-friendly water recycling system to ensure 100 per cent of the water consumed during the processing stage is recycled. 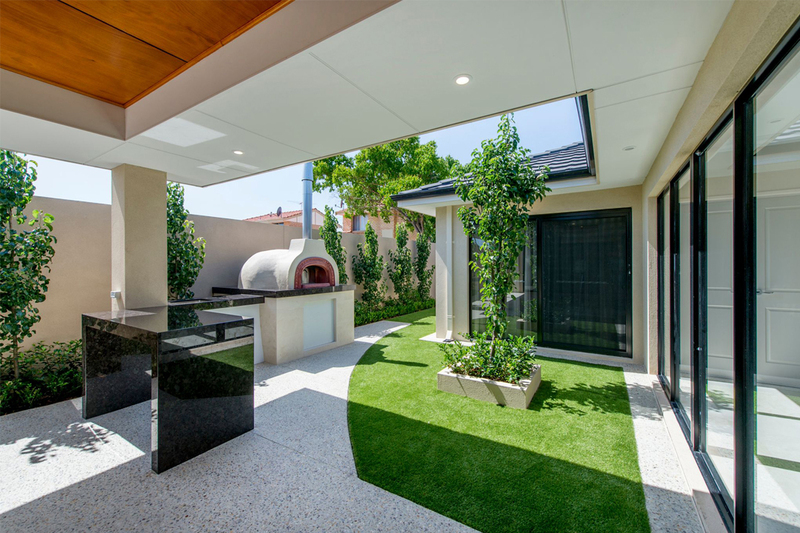 As one of Perth’s leading stone manufacturing companies, MG Creations can provide stylish natural and engineered stone features for any room of the home. To obtain a quotation, visit the company’s website and complete a quick contact form, or visit the showroom to discuss your options with the experienced team at MG Creations.